I purchased this tent in 2011 when looking for a reasonably sized backpacking tent to use for wild camping, hiking and general all round use. At the time I had never owned a tunnel tent before and felt hesitant about it’s strength; needless to say that after years of use I have realised it is much stronger than I first thought. 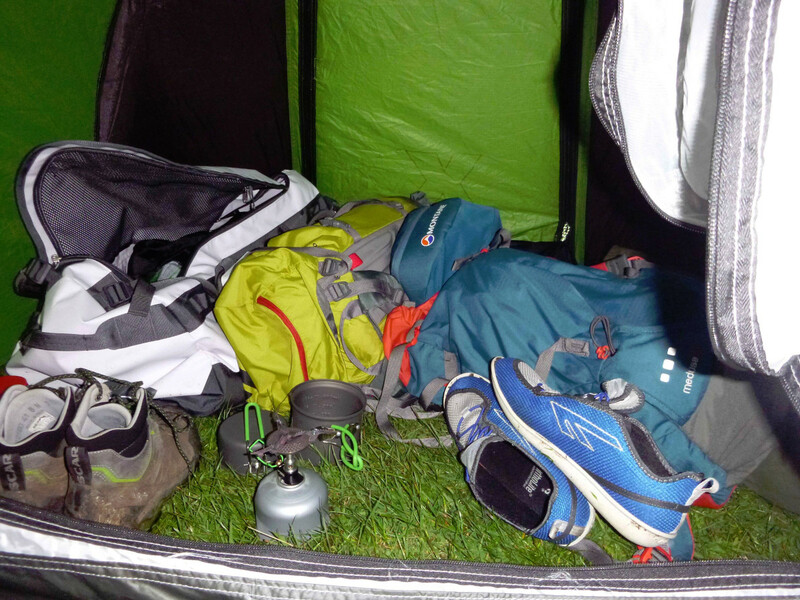 Getting tension in the tent is perhaps the trickiest thing to do, but it can be done! Regardless of how taut you can get the flysheet, the tent still stands up to heavy wind and rain when pitched correctly. My favourite feature of this tent is the large porch and double doors, which means you can have a door open for ventilation no matter which side the wind is coming from. I’ve found the space of the porch large enough to accomodate two rucksacks, hiking boots and a stove; which is about as much room as you need for normal backpacking trips. I have also read stories of others buying this tent for cycling touring as the large porch can accommodate all their equipment. Another major benefit of the porch is the option to have somewhere cook when the weather outside is unsuitable. You can simply remove or roll back the groundsheet of the porch and then open the top of a door to provide ventilation. I find that many people will often overlook this fact when purchasing a tent: they will simply buy the lightest tent they can find and forget about how comforting it is to have a porch to be able to cook in when the weather is poor. Pitching the tent is straightforwad with three poles to be inserted along the outer tent. An estimated pitching time for two people would probably be around 7 minutes, with the longest amount of this time being spent on getting the tension in the flysheet. As the inner material is attached to the outer part of the tent, the tent can therefor be pitched in the rain without getting the insides wet. One area I did find tricky at times was achieving tension on the flysheet; it can be done, but on some areas of ground it is harder than others. Weighing in at just over 3Kg (3.3Kg to be precise) the Pictor X2 makes a rather lightweight tent when the weight is shared between two people. Carrying it on your own isn’t that bad either when you consider the tent space you get compared to the cost of the tent. 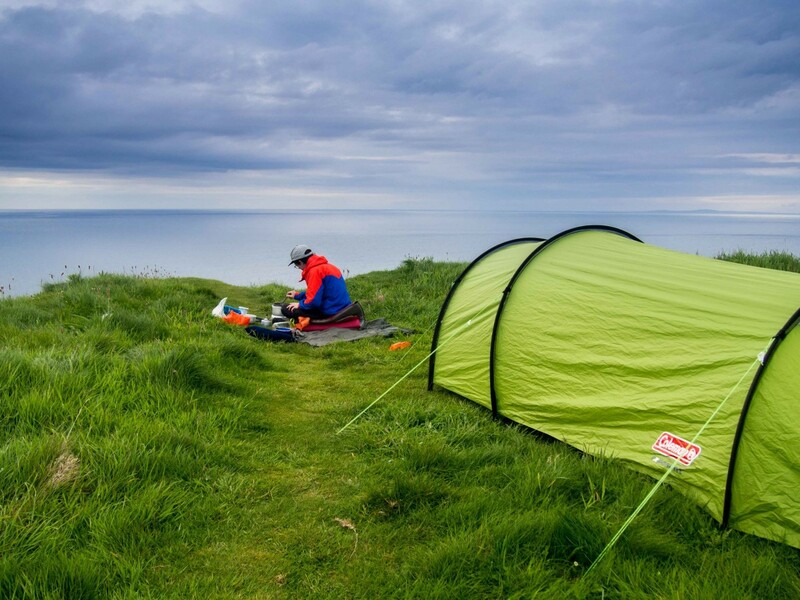 You may think that 3.3Kg is not lightweight at all in comparison to other tents, but when you take into consideration the price point and the living space it provides the Pictor X2 makes a great all rounder for backpacking trips. I have found the internal sleeping space to be just enough for two people alone; you will have to leave your rucksack in the porch outside. Being 6ft (180cm) tall myself I can comfortably lie in the tent without the resting on my sleeping bag. 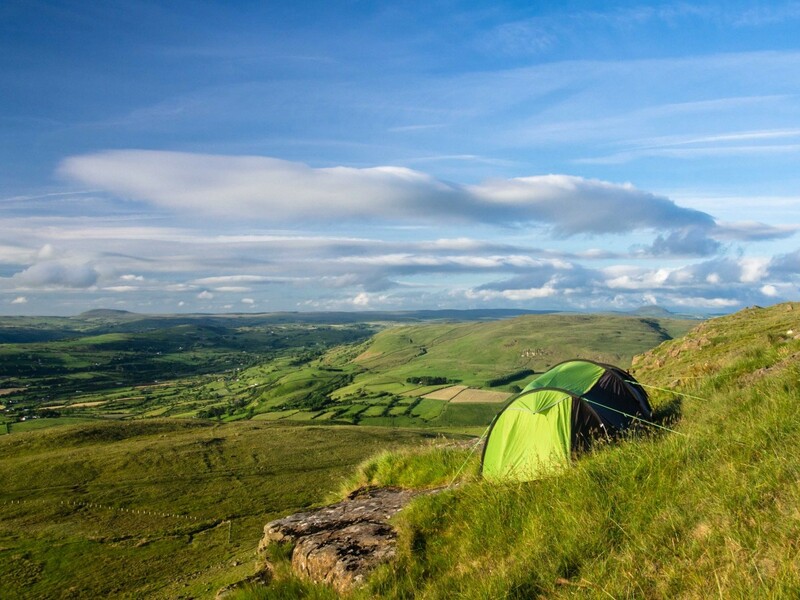 Further to the point of sleeping comfortably, it is definitely best to sleep with your head at the porch end of the tent: this provides better ventilation and doesn’t feel as confining as it would when sleeping at the opposite sloped end. The pocket sewn into the side of the tent make for a great place to store your headtorch or map during the night so you don’t have to fumble under sleeping mats or spare clothes to find things. It does lack a storage compartment on the roof of the tent, but I can imagine that this is becuase of the tunneled nature of the tent and nothing else. 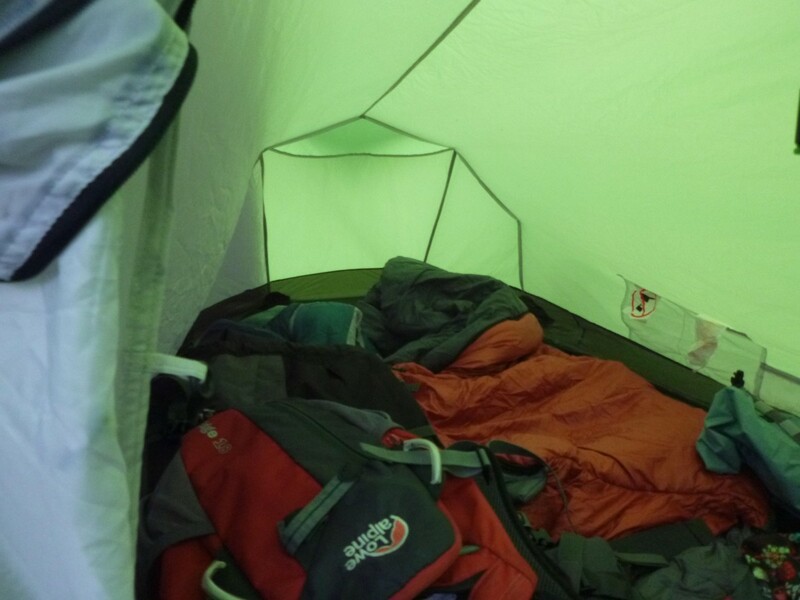 Overall the Coleman pictor X2 makes a great all round backpacking and camping tent. It stands up well in stormy weather and is suitable for year round use in the UK, providing the weather doesn’t get too extreme. I have bought other tents since purchasing this a number of years ago, but it still sets a good standard for the rest of them to live up to. I see it as a work horse in a way, it’s not fancy and it’s not the lightest tent you can buy, but it is a reliable and affordable tent and will serve you for years to come.